Valor’s new Inspire 400 model offers a unique under-bed LED lighting module, creating a warming glow that can be enjoyed with or without heat for year-round ambience. In this latest step in the continued development of Valor’s Inspire collection of gas fires, the unique Luminaire LED lighting technology delivers a premium effect suitable for any living room, helping to meet growing demand for added-value fires. 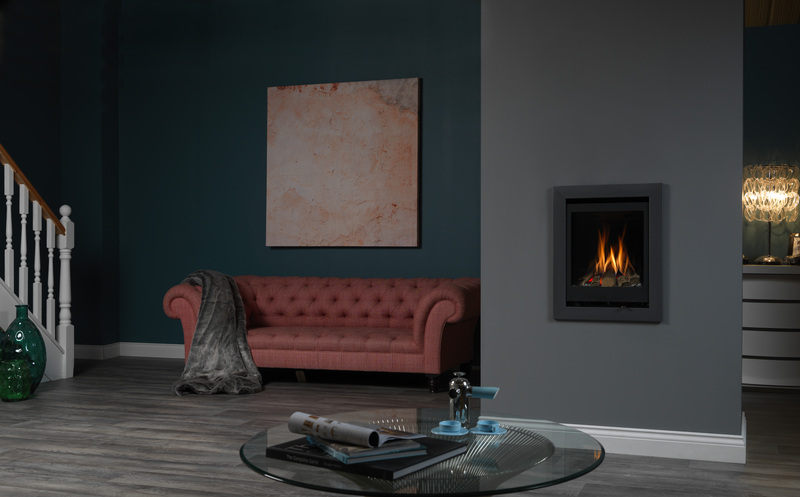 Now homeowners can benefit from a stylish gas fire, suitable for any standard fireplace opening, which delivers a year-round ambience – not forgetting all the proven installation, style and performance benefits of Valor’s popular Inspire collection. At 84.5% efficiency and with impressive heat output control from 1.1kW to 4.0kW, the new Inspire 400 glass-fronted fire can be either wall mounted or fitted within one of three suites; Palermo, Vincenza and Atalanta. It comes with Fireslide control on the bottom of the fire for easy operation and an authentic log fuel bed. The Inspire 400 also comes with a choice of three back liners – mirrored glass, black and vermiculite – together with Edge and Grande trims each available in three-sided or four-sided designs in anthracite, black, brushed chrome or chrome. The Valor Inspire collection is available from all good fires retailers nationwide. To view the latest Valor Inspire Collection click here.